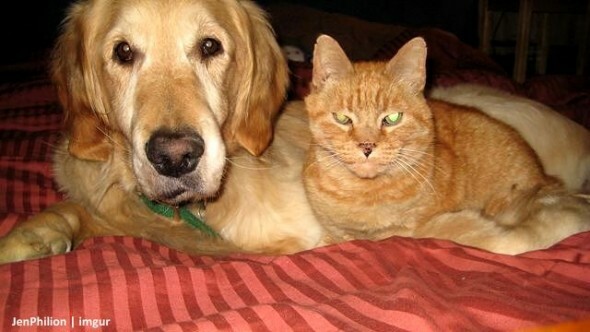 Forsberg the Golden Retriever and Ginger the Orange Tabby Cat were the best of friends for eight and a half years. Wherever you’d find Forsberg, Ginger was right by his side! Both seniors, they were always taking it easy and relaxing. Their favorite place to be was snuggling with each other on the couch. 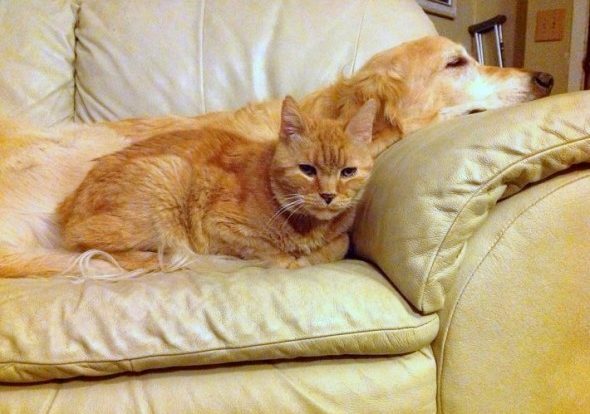 Sadly, Ginger passed away from thyroid cancer when she was 15 years old. Forsberg was devastated to no longer have his best friend by his side. He continuously searched throughout the house for Ginger every day, and didn’t understand where she went. He was confused and grew very depressed without her. 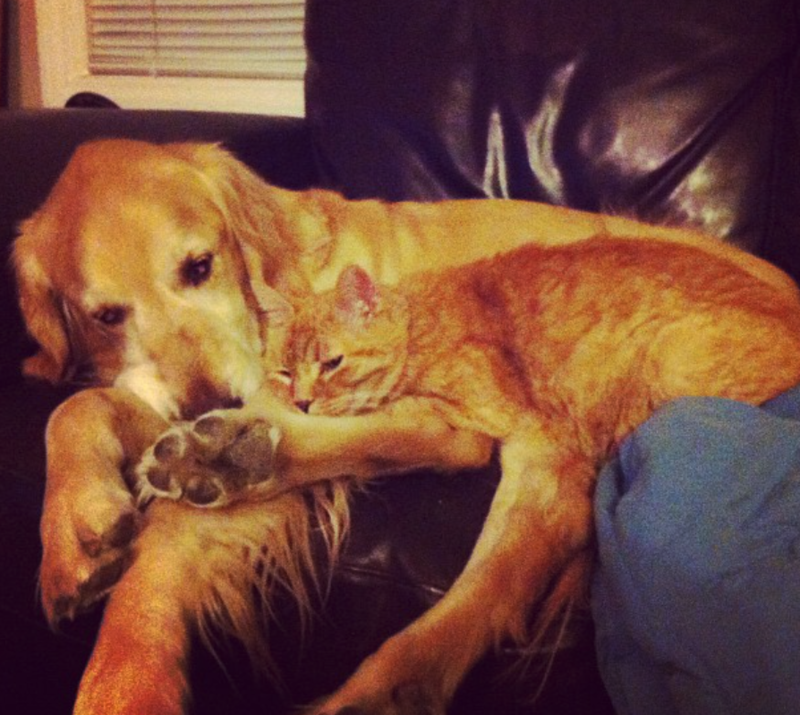 Forsberg’s human, Jen Philion, couldn’t stand seeing Forsberg so sad and in so much pain without his kitty best friend. 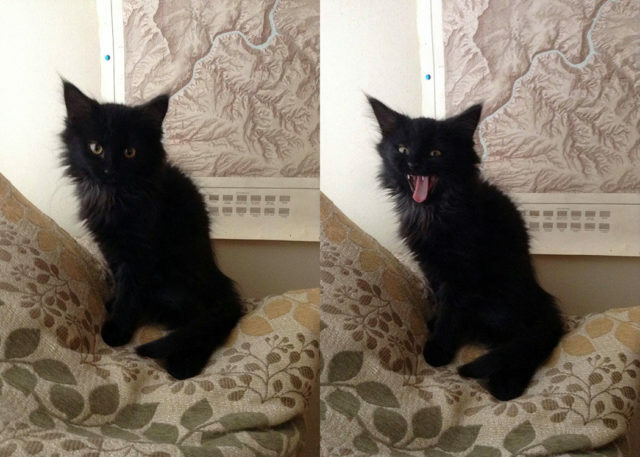 So she decided to surprise him and get him a new kitten! 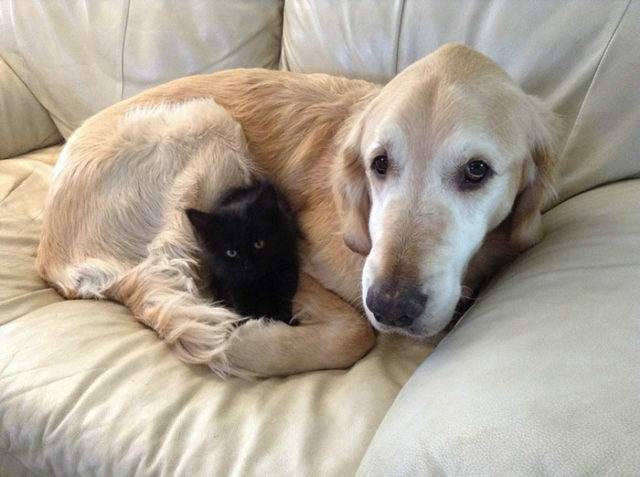 She brought home a new kitten named Maxwell, and the two hit it off right away! Ginger will always have a special place in Forsberg’s heart, but little Max does a great job filling the void. Max cuddles right against Forsberg in the same spot Ginger once did. It has now been two years since Max became a part of the family, and Forsberg and him are as close as ever! 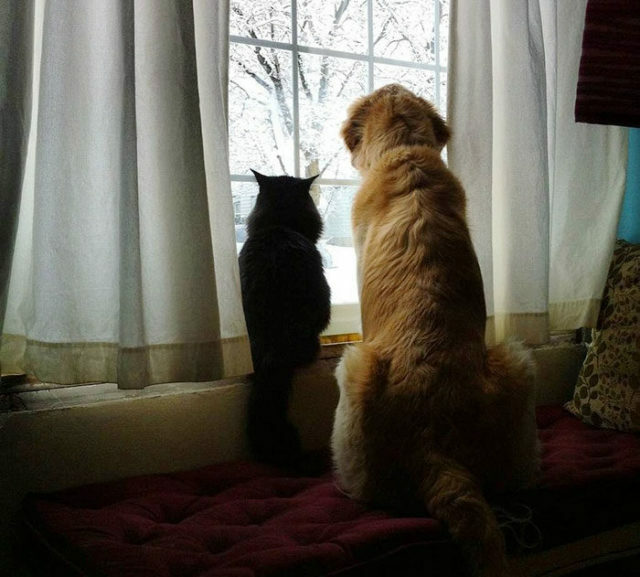 Love and friendship knows no species! You can follow their journey together on their human’s Instagram account.